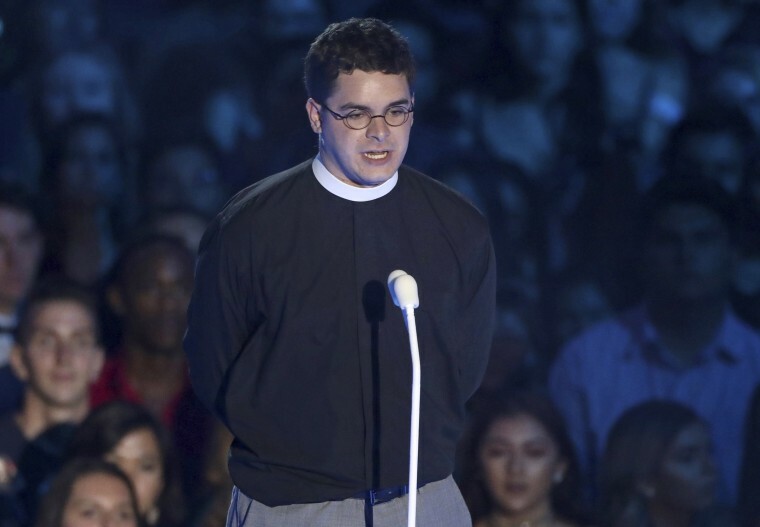 RALEIGH, N.C. — A descendant of Confederate Gen. Robert E. Lee says he stepped down as pastor of a North Carolina church after negative reactions to his comments supporting racial justice during an MTV awards show "made it clear that I was no longer welcome there." The general's distant nephew, the Rev. Robert W. Lee IV, issued a statement Monday saying he resigned from Bethany United Church of Christ near Winston-Salem after the congregation decided to put his tenure to a vote. "We have made my ancestor an idol of white supremacy, racism and hate," he said. "As a pastor, it is my moral duty to speak out against racism, America's original sin." "A faction of church members were concerned about my speech and that I lifted up Black Lives Matter movement, the Women' s March, and Heather Heyer as examples of racial justice work," Lee said in the statement explaining his resignation. In a phone interview Tuesday, Lee declined to elaborate on what was said by the church members who disagreed with him, but said it was clear he couldn't remain as pastor. "The uncomfortable media attention and differing views with me by some of the congregation — and I want to make it very clear that it was not all of the congregation — made it clear that I was no longer welcome there," he said, adding that he's also received positive messages. Two local congregation leaders listed in state nonprofit filings didn't respond to messages seeking comment Tuesday. The church's phone rang unanswered. Lee also issued an apology to church members for causing them pain with his remarks on MTV. But he said he continues to "strongly support" removal of monuments to his ancestor and other Confederates. While Lee spoke out against racism in a 2016 Washington Post opinion piece that linked him to his namesake, he said his MTV appearance has garnered a much stronger reaction. But most of all, he said, he doesn't want the news about him to take attention away from larger conversations about racism in the U.S.
"I don't want this to be about me," he said. Lee's remarks on MTV came in the aftermath of a rally by white nationalists in Charlottesville, Virginia, that turned violent as the demonstrators clashed with counterprotesters. Heyer died when a driver plowed into a crowd that had gathered to denounce the white supremacists.